The soak didn't remove everything but it did a pretty decent job. I have a feeling if Id used my pumice stone while soaking all the dead skin would have been removed. Or maybe even soaking for a little longer would have done the trick. And here's a shot of the before and after for an easier comparison of the results. What do you think? Is this something you've tried yourself or are going to try now? Have you had good results with a different kind of foot soak? By the way, I feel I should tell you I do have 5 toes, my little one just decided to be camera shy today and I didn't notice it until I started putting this post together. As always thanks for stopping by. Id love to hear your thoughts about this. Please feel free to leave me a comment and Happy Polishing! Looks like it worked somewhat for you. That's great to see. Never tried this foot bath but it looks promising that I might try it sometime if I need one. It worked better than I thought it would that's for sure. Ive actually done this soak 4 times now since I original did it and it seems to be helping. My feet need all the help they can get this time of year. The cold weather is pretty hard on them. I tried this and it didn't work too well for me. I must have some really F'd up feet or something! I've not heard of this for dry skin, but I have read about it as a treatment for Athlete's Foot. To be honest I had never heard of it for dry skin either. Then I came across the pin on pinterest and decided I had to give it a try. 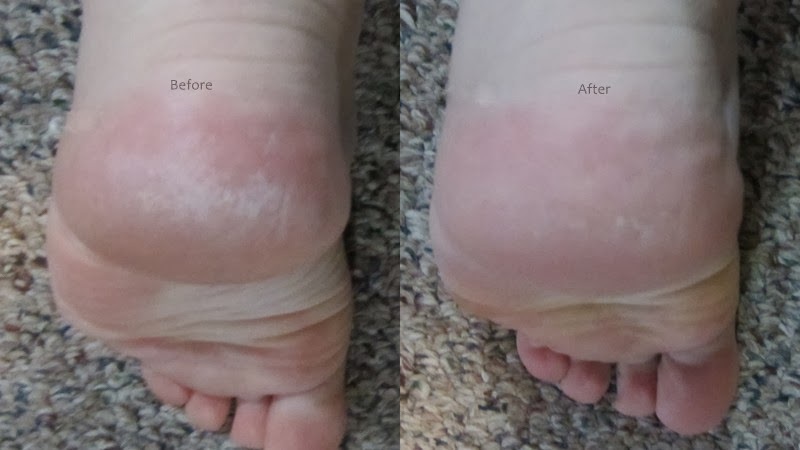 The cold winters here are horrible for my skin and that includes my feet. Im always onthe look out for quick, easy and inexpensive ways to combat it. This seemed to work well enough that I will continue to use this technique.